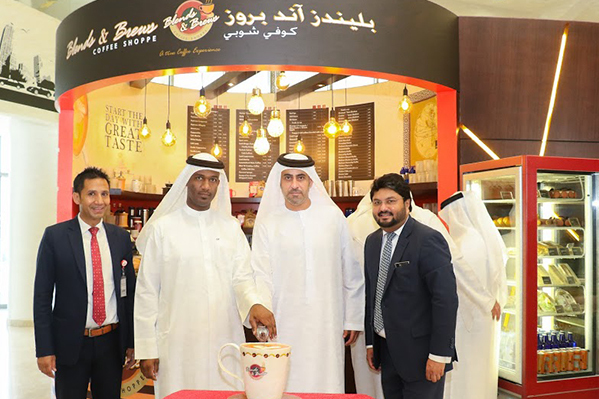 The latest outlet of Blends & Brews Coffee Shoppe, the UAE-born chain of international coffee shops owned by Thumbay Group was inaugurated at the Department of Land & Real Estate Regulation, Al Jurf, Ajman on 18th June 2018. The outlet also had the privilege of welcoming H.E. Sheikh Abdul Aziz bin Nasser Al Nuaimi, Director of the Office of H.H. Sheikh Abdul Aziz bin Humaid Al Nuaimi and H.E. Yafea Al Faraj, General Director of the Department of Land & Real Estate Regulation, in the presence of Mr. Farhad. C – Director of Thumbay Group’s Hospitality Division, at the inaugural function. 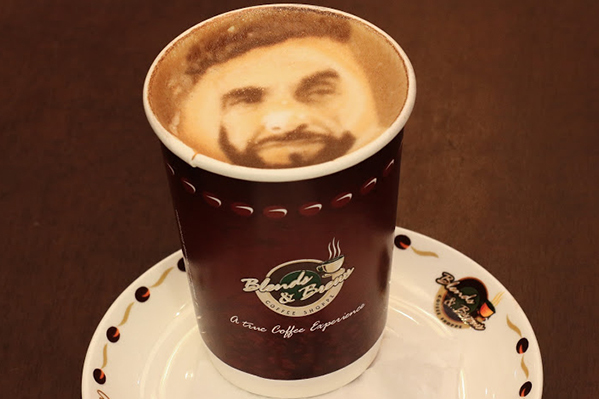 Introducing the new technology that lets customers get their photos printed on their lattes and cappuccinos, Blends & Brews marked the ‘Year of Zayed’ by printing the photograph of the late His Highness Sheikh Zayed bin Sultan Al Nahyan, the Founding Father of the UAE, in the first coffee made at the inaugural function. A fast-growing chain of coffee shops with ambitious global expansion plans, Blends & Brews operates multiple coffee shops in the UAE, in addition to an outlet in Hyderabad – India. The growing popularity of the brand has ensured its presence in major shopping malls, offices, universities, government offices, hospitals, health clubs, etc. and the numbers are growing. It has a drive-thru outlet in Ajman, as well as ELITE outlets catering to upmarket customers. In addition to hot and cold beverages including its signature blends, Blends & Brews also has a short-eats menu designed in accordance with the local palate, to ensure quick service to customers without having them wait. Blends & Brews also has its own range of sugar-free delicacies including drinks, cookies and cakes. The stores are designed as attractive open spaces and the interiors are coffee-themed, based on the concept of modernity. The Baristas are professionals who are keen on giving customers a taste of the brand’s values, besides great coffee.